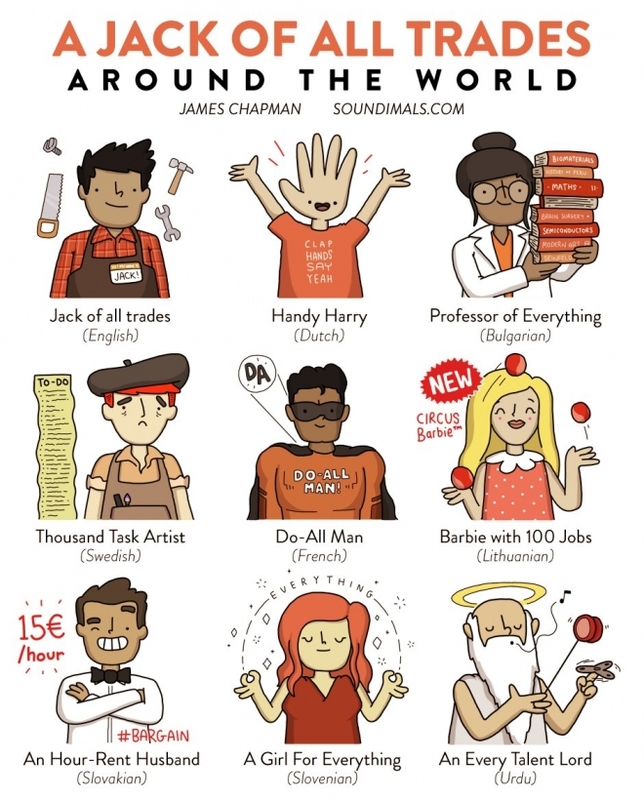 British graphic artist James Chapman of Soundimals (previously) illustrates the corresponding expressions for "jack of all trades" in other languages. I’m not 100% sure how commonly used these all are, but heck I really wanted to draw the ones I’d found. I hope you like them!